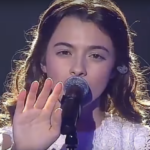 Two weeks ago, the Romanian national broadcaster TVR, had unveiled the names of 24 acts that will compete in Selecția Națională 2019, the country’s national selection format for Eurovision 2019. Today the boradcaster revealed on Youtube the 23 entires of the national final after Dan Bittman’s withdrawal. Two weeks ago it was revealed that Arad and Iași will be the two cities to host the Selecția Națională semi finals which this year will be two and will take place on 20 and 27 January respectively. The Grand Final is set to take place on 17 February in the country’s capital Bucharest. From each semi final round a national jury will select 5 contestants for the final while the public voting will determine one more spot for the grand final. However the national broadcaster reserves the right to pick one additional act from the rest that didn’t initilly qualify. 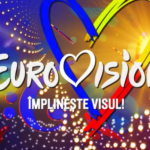 During the final in February we will se for the first time a international jury vote and alongside with the public voting will determine who will be the final winner and Romania’s next Eurovision act. In case of tie the final outcome will be decided by the international jury. 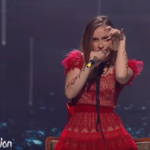 Last year, Romanian band The Humans won the Selecţia Naţională and performed Goodbye on the stage of Altice Arena in Lisbon. For the first time in its history the country didn’t make it to the final, breaking a record of qualifying to each grand final since the semi finals were introduced.